Financial statements provide a picture of your current business model and let you know if that model is profitable. The inclusion of information on business income, capital expenditures, and cash flow on company balance sheets gives you a clearer picture of your cash flow. 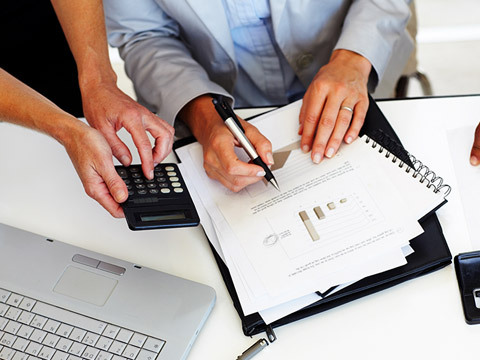 Analyzing your company's financial statements provides for accuracy and accountability. Sometimes you need an expert to establish or review this process. Rossetti Tax, as your accountant and tax adviser will "run the numbers" to make sure your reports are accurate and error-free during the tax season. This will help you as a business owner to verify financial information and correct any issues such as capital expenditures, cash flow, and payroll issues as quickly as possible to ensure profitability and other important financial decisions. Your financial success is dependent on analyzing your company's financial statements. Rossetti Tax will help you get a complete financial picture, including leverage and profitability, information about assets and liquidity to reach your goals and objectives.